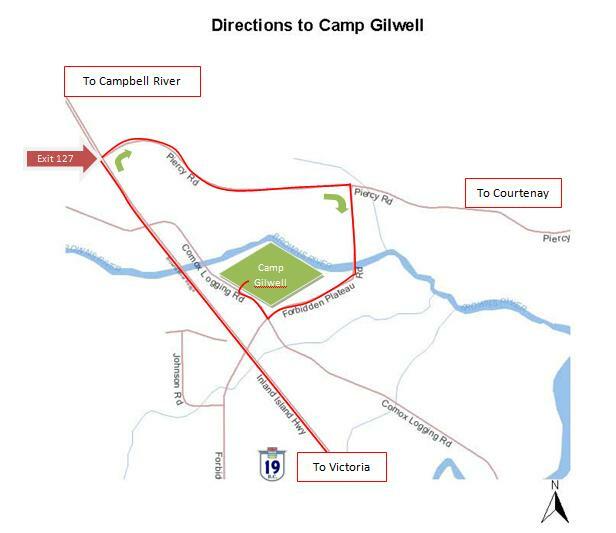 The 2016 Firemaker gathering will happen at Camp Gilwell, near Courtenay, BC. This land is unceded territory of the K'ómoks First Nation. For Rideshare information, please visit the Forums. Get on to the Inland Highway 19. Turn Right on Exit 127 (Piercy Road). Turn Right on Forbidden Plateau Rd and then Right on Comox Logging Road. Turn Right into Camp Gilwell. Get on to Condensory Road. Turn Left on Piercy Road. Turn Left on Forbidden Plateau Road and then Right on Comox Logging Road. Turn Right into Camp Gilwell. Get on to the Inland Highway 19. Turn Left on Exit 127 (Piercy Road). Turn Right on Forbidden Plateau Road and then Right on Comox Logging Road. Turn Right into Camp Gilwell. If you have space in a vehicle to give someone a ride to the gathering, or if you need a ride to the gathering, please visit the Forums page or find us on Facebook and post your availability or request.